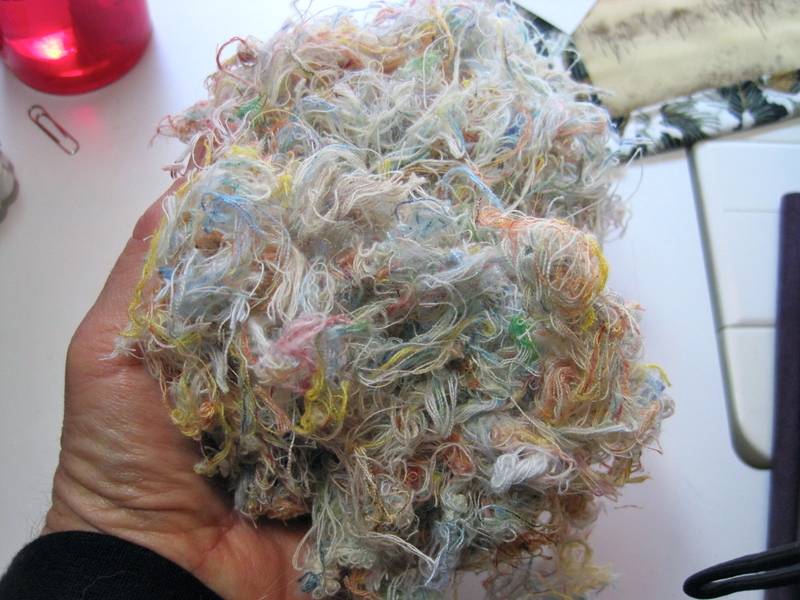 When I returned home from Empty Spools, I had a couple of projects that I had left mid-stream, and I went back to work on those. 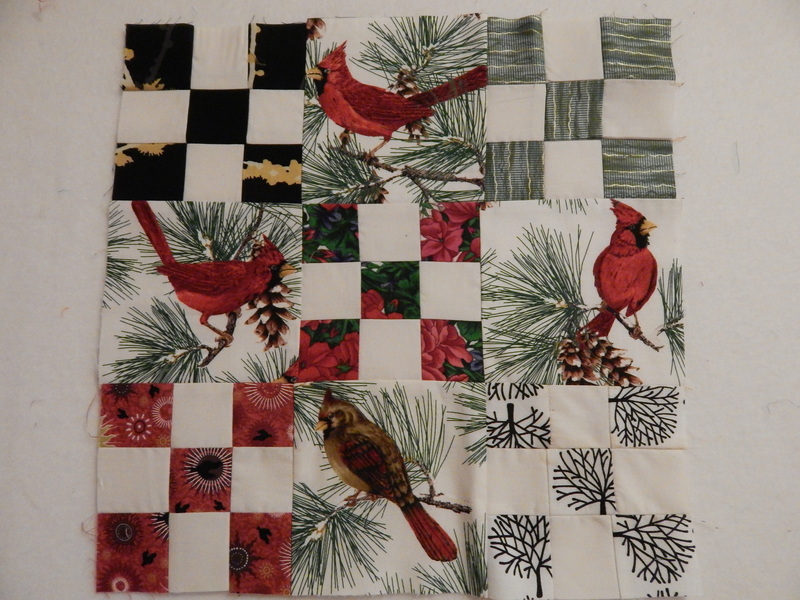 Once those were well under way, I went back, determined to finish my project from Katie’s Artful Log Cabins class. Yesterday I finished the piecing and made the quilt sandwich, and today I completed the quilting, and put the binding on. Gotta love a 30″ X 40″ quilt. 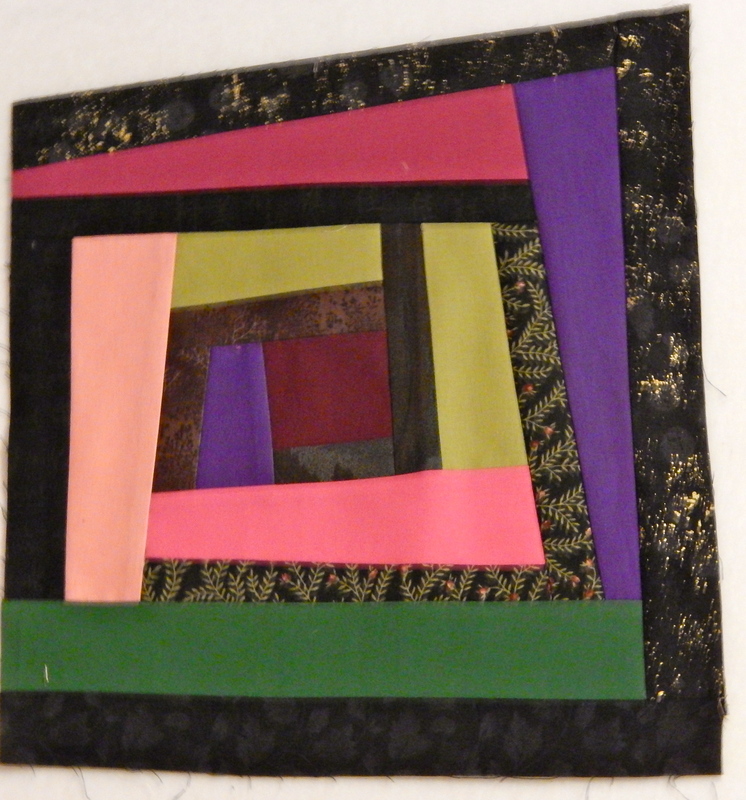 Even with dense quilting, it moved right along. I don’t think its a masterpiece, but I am pleased with the finished product. I think it reflects my garden well, and I will enjoy looking at it for a while. 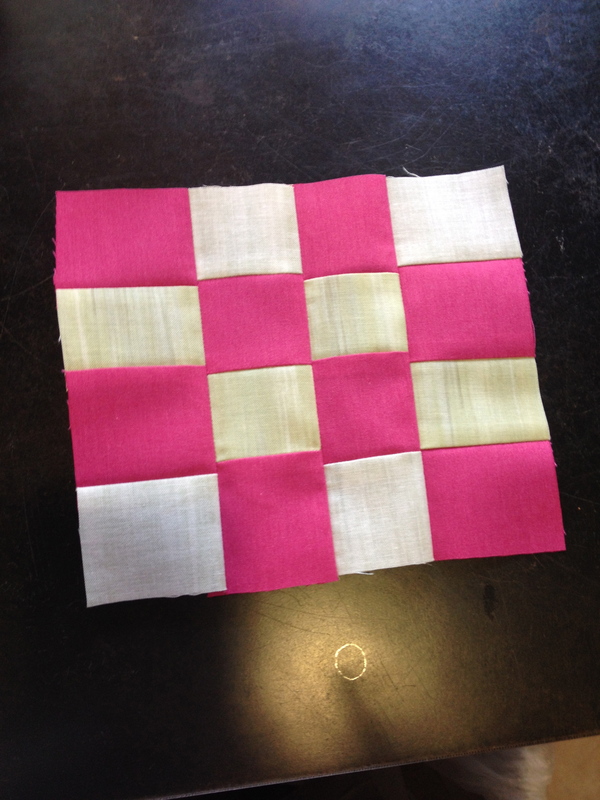 I did try Katie’s method of grid quilting block by block, and I did enjoy that. I had enough pre-cut strips to use as the binding! And, I definitely over-cut the amount of strips I needed for class. I am thinking about making some regular log cabin blocks with the leftovers. It might be fun to experiment with them. Well, here goes! Empty Spools Seminars started on Sunday afternoon. I checked into my room, unpacked my suitcases quickly, and then walked over to check into the Seminar (they have a beautiful huge hall (Merrill Hall) that is headquarters for all the goings on all week.) And then I drove straight over to Katie Pasquini Masopust’s classroom because we were supposed to have an hour and a half intro to the class. And indeed, it was an intro Plus! 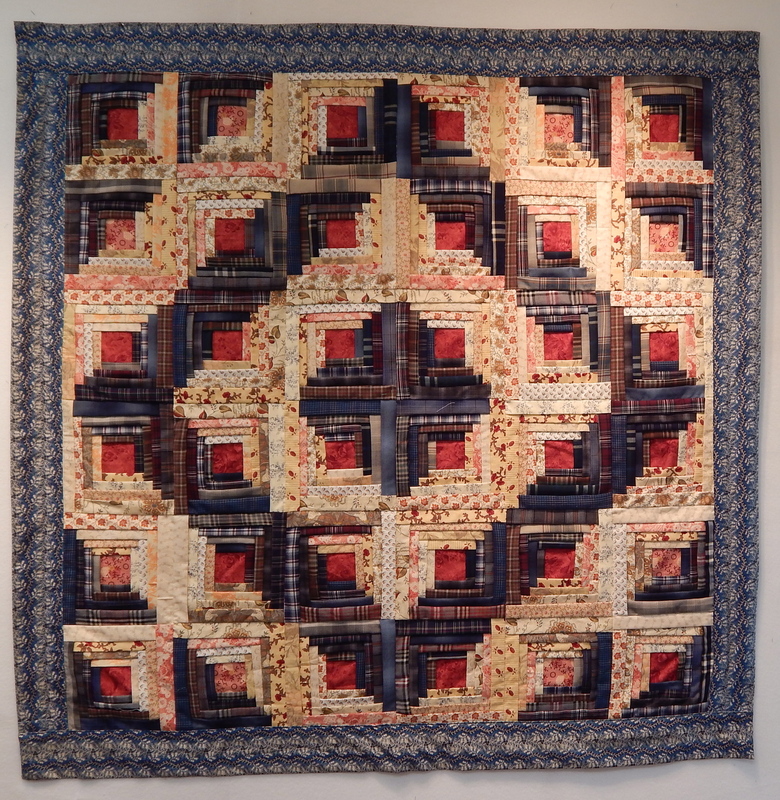 Katie shared with us quite a few of her artful log cabin quilts along with the inspiration photo for each of them. Then Katie had each of us (there were 18 in our class) show our inspiration pictures (here’s the blog where I shared the pictures I had chosen.) I did discuss the little waterfall picture with her, and she agreed that there wasn’t enough contrast in it to do this technique. So I did use the same picture that I had chosen. 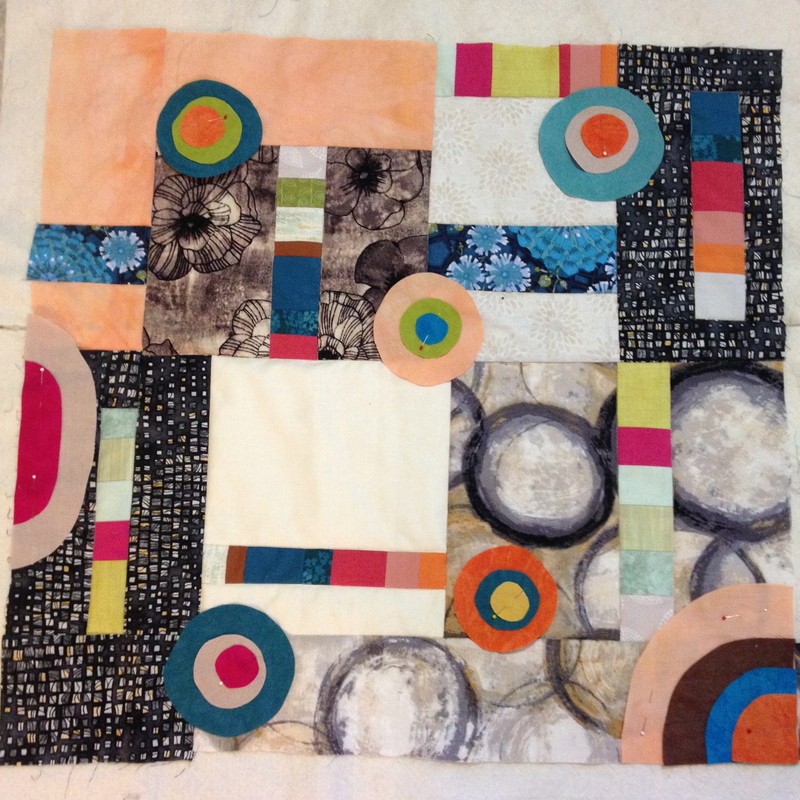 The finished quilts are supposed to be more abstract than representational. And then Katie had us take out our tracing paper and draw several grids over the inspiration photo! That was more than I had thought we would do on this first afternoon! But I had been thinking about how I would do this particular photo, and I liked the very first grid I drew. Katie approved. And then it was on to dinner and after dinner back to Merrill Hall for a presentation by the Artist in Residence. Empty Spools has been running for 30 years, and pretty much everything about it was very well organized. I appreciated that each evening session started exactly on time, and usually lasted about 45 minutes. It was fun having the evening sessions, because at Asilomar, there are no TV’s in the rooms! And the next morning, bright and early, we were back at work. Katie had us finalize our grids, and then trace them onto acetate. Then we taped the acetate to a white paper backing so that she could take them and have them enlarged at Kinko’s. Each person decided how large they wanted their final quilt to be. So my grid, which was based on my 8X10 photograph, was enlarged 400%, which made my quilt about 36X40″. Katie had two enlargements made–one for your placement grid, and the second so that you could cut each piece out and use it as a template. I think that this is the first time I have used this method, and I do think that it could be very useful in other applications. We put the acetate back over the photograph, and used that for color placement in constructing each block. I forgot to tell you that Katie had instructed us to pre-cut our strips before we came. I was VERY happy that I had done that, as it saved a lot of time in the workshop. One of the most interesting things I learned from Katie was that even though she does most of these quilts with intense grid quilting, she quilts each block separately. Which seems so much easier than running long grid lines the entire length of the quilt! 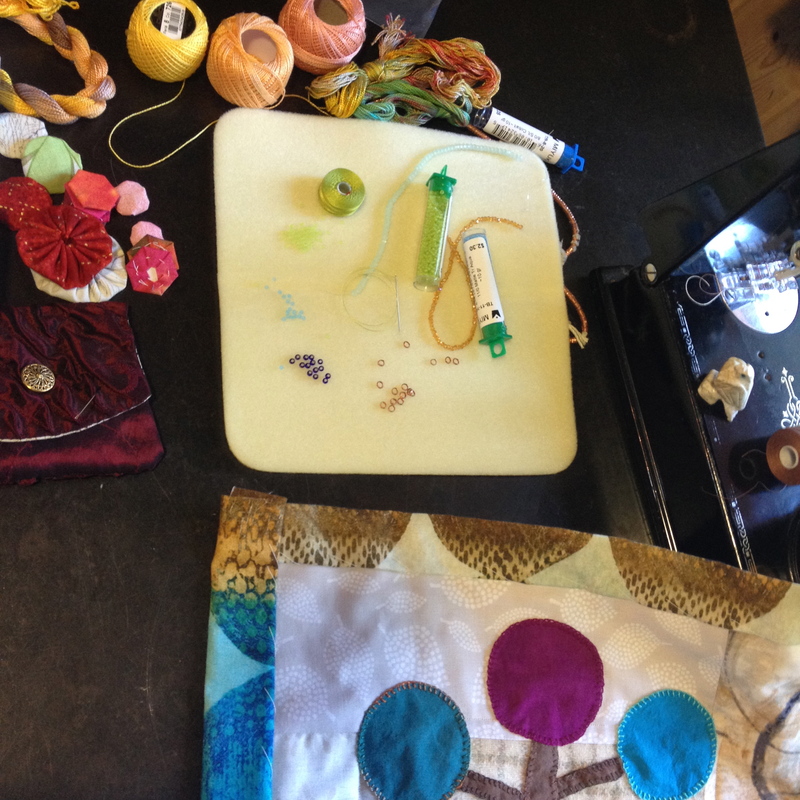 If you are interested in seeing more of the workshop photos, you can visit Katie’s FB page. 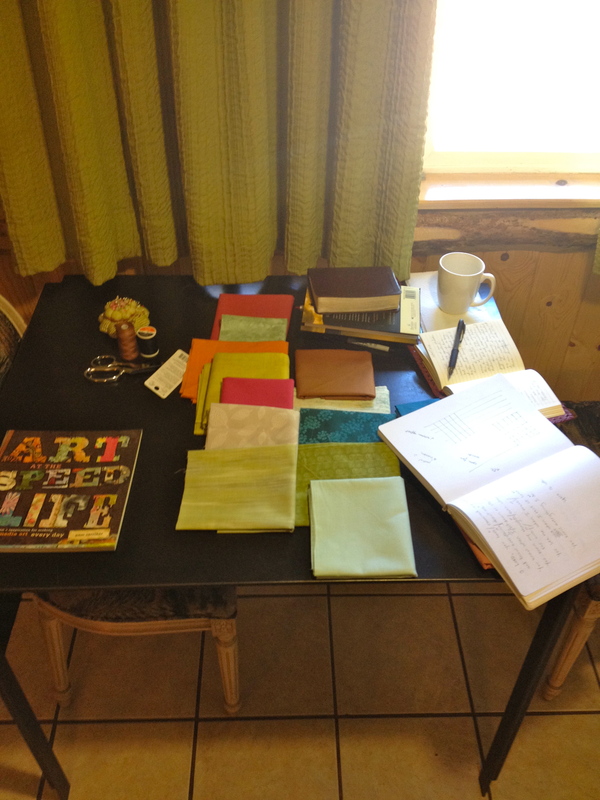 A little more about Asilomar and the whole Empty Spools experience. The food was very good, served cafeteria style. There were always several selections for each meal. And there were always vegetables and salad available at each meal. There was an evening program each night except Wednesday (which I was very grateful to have that night off.) But I enjoyed all the programs. Each evening there was show and tell from the students. Most of the students were showing work that they had completed a previous year at Empty Spools. Each teacher spoke, about 3 or 4 each night. Some of them had a slide show, and others showed real quilts. Katie was on her way (after Empty Spools) to do a one-woman show in Spain, and so she brought all thirty of the quilts for that show with her. 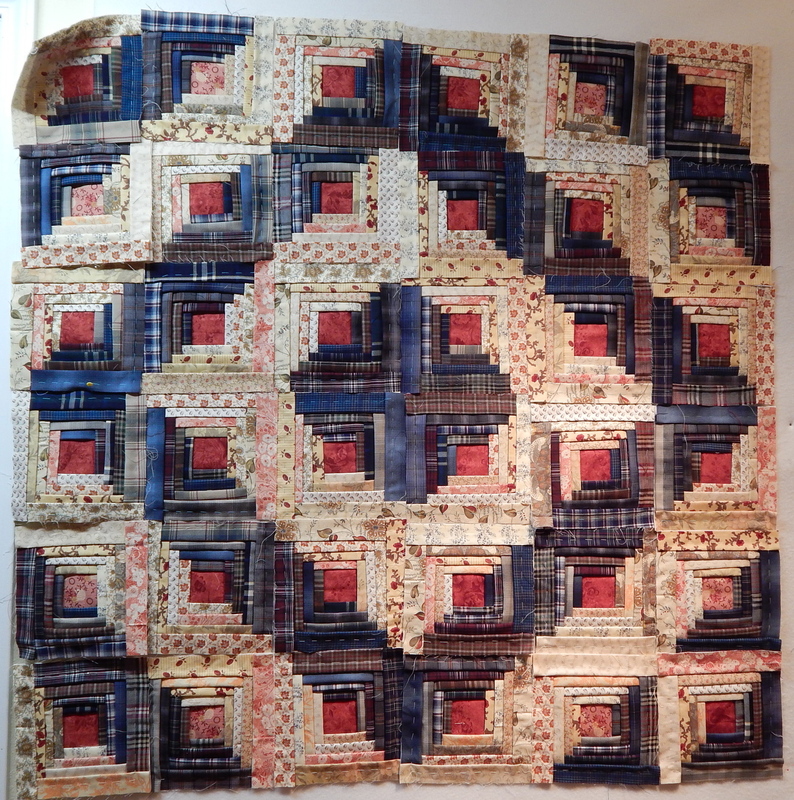 It was a real privilege to be able to see her work so close-up and to hear about the way she constructs her quilts. Another thing that was very nice was that the quilt shop in Pacific Grove (Back Porch Fabrics) provided a shuttle van from 4-6pm each night, so you didn’t even have to drive into town and find a parking space! There was also a tour of the 17-Mile Drive. I did not do that, but heard about it from one of my table mates. And of course, there were miles of beautiful walking paths and the ocean, and they even had bikes to rent, which I would have loved, except all my energies were focused on quilting! And then I came home and started working on and finishing projects that I had left off before I left for Empty Spools. I am planning to get back to my Log Cabin project tomorrow! In just a week I am heading to Pacific Grove to attend Empty Spools! I love Pacific Grove (my favorite knitting and quilting shops just a block away from each other) and I have toyed with the idea of attending Empty Spools for a long time. When I saw Katie Pasquini Masopust was going to be teaching, and her topic was Artful Log Cabins, I decided to go for it. You’re supposed to pick an inspiration picture, and I thought I’d share my inspiration with you. I went back through the millions of photos on my computer, looking for ones that I loved, and that I thought might work for this class. The “secret garden” at Belknap Hot Springs in central Oregon–one of my favorite places on earth! The summer garden. Ultimately, I chose this picture, because I thought it had a little more contrast than some of the other pictures, and also because when I saw a thumbprint of it, I thought the light shining on the tree trunk looked like a cathedral window in the middle of a garden. I had 8X10’s made of each of these pictures, and I have to say I am enjoying looking at them. I plan to take them with me to get Katie’s input on whether they will work for this technique. Amidst all of the construction of the past few months, I have been able to work here and there in the studio. Not in an organized fashion so much, or as consistently as I would like, but enough to keep the creative juices alive. So when it came time for the sheetrock installation, and that involved my toilet being removed for a few days, I decided to take a little spiritual/creative retreat. Oh, what a good idea that was! I was only here for about half an hour after the sheet rock work started–kind of like being at the dentists–eeeek! I thought I’d share the evolution of my “creativity” on the retreat. 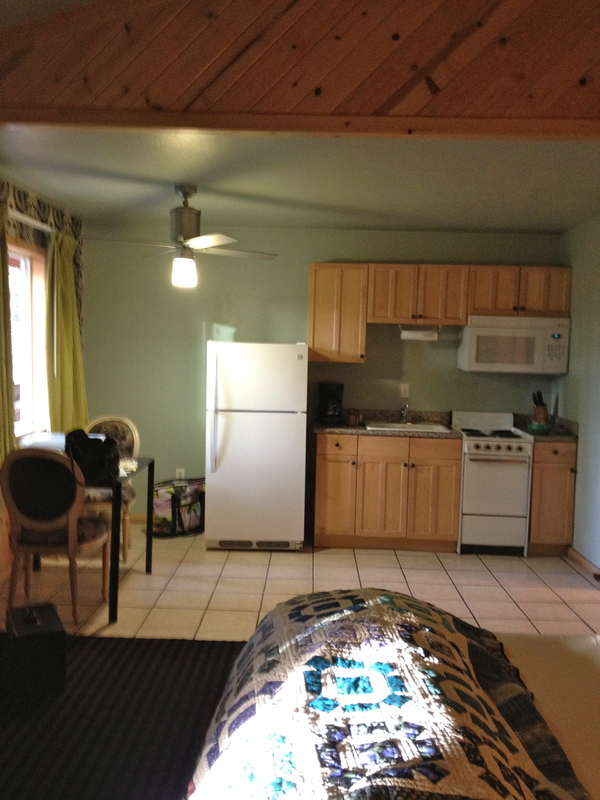 BTW, I went to a great little place in Lake Tahoe that I have gone to before–3 Peaks Resort. I had rented a regular room, but as I heard the customer in front of me discussing a “suite,” I asked how much it would be to upgrade to a suite. It was $30/night. I did think about it for a bit, but decided that for $150 total, it would be well worth it to be able to spread out a bit, and to have a kitchen for my food. I took a lot of stuff with me. 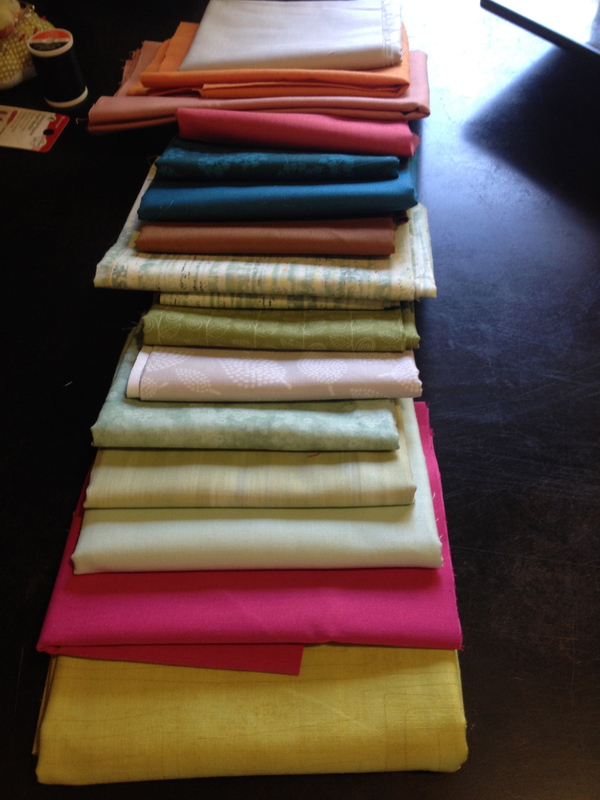 I had one collection of fabrics that I had put together at the end of my Sisters trip. I gathered another pile of interesting prints and solids in darker colors. I had my zip lock baggies of Cherrywood scraps (LOVE these.) And I brought what I thought would be good background/neutral fabrics. Oh, and a couple of squares of wool that I had nabbed at PIQF, and of course a case of my beloved perle cotton thread. And a couple of journals, my sewing machine, and of course some magazines and books for inspiration. DAY ONE: I had some general ideas of what I wanted to do. I started out with this checkerboard. I thought if the strips were cut unevenly, they might look sort of woven. Ick. That was so dismal that I almost went into that spiral “what made you think you were an artist? You’ll never be able to create anything worthwhile. etc.” You all know the drill. That afternoon I regrouped. 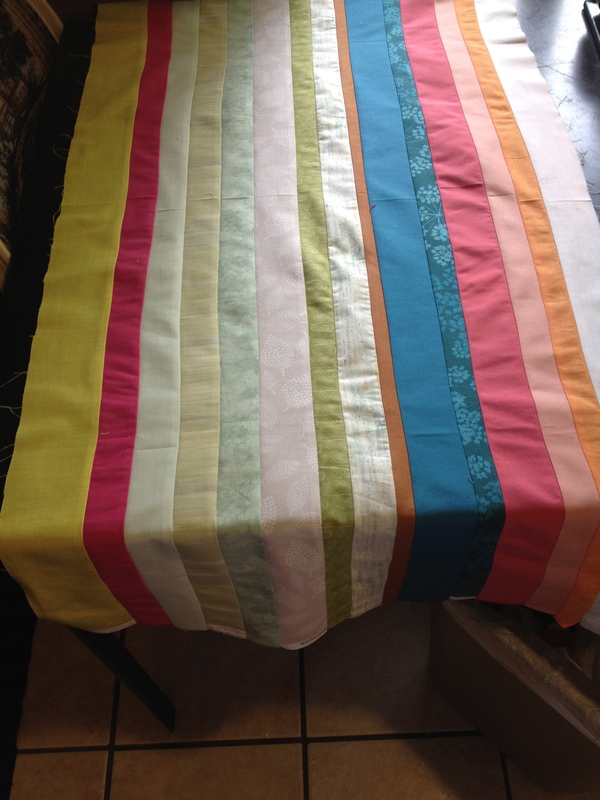 I put together the original set of fabrics, and decided to make a strip set of them, to use in creating SOMETHING. I have found that cutting into the fabric is key to moving forward. 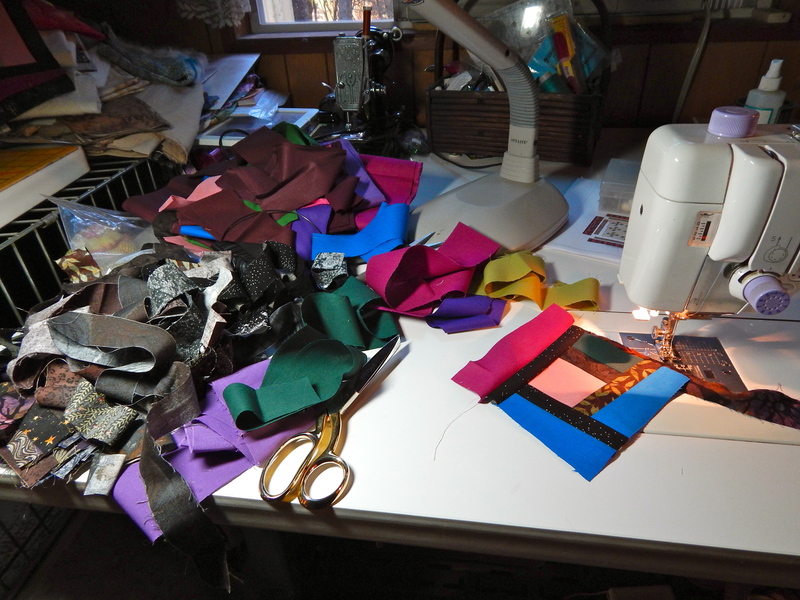 So I will generally cut strips and/or pieces out of the fabrics that I want to use. I don’t know the end use, and that may lead to some waste, but at least I start moving forward. And that was enough work for one day. In the afternoon, I decided to put together a little composition so I would have something to embroider on in the evenings. I also wanted to use that square of wool that I had brought with me. 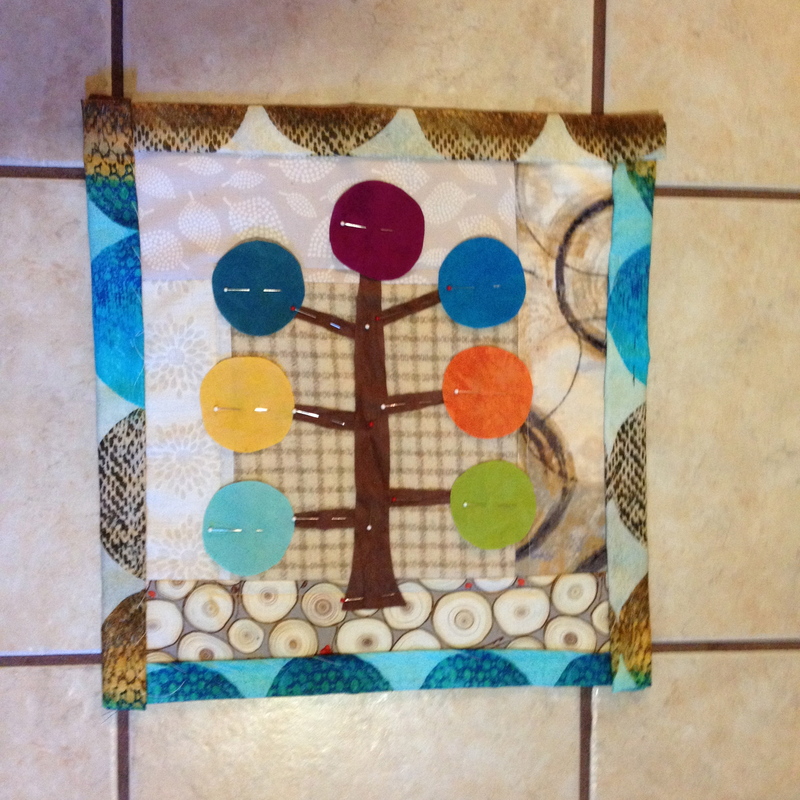 I remembered a “kantha tree” I had sketched in one of my journals from a photo of an actual Indian kantha quilt. 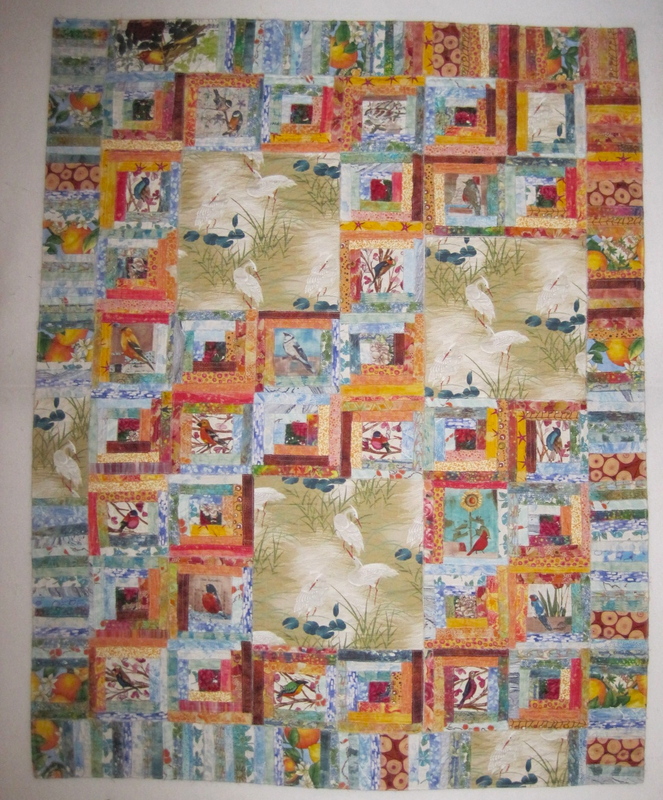 (The “border” there is just the backing that I fold over to the front to keep the edges neat while I am hand stitching. 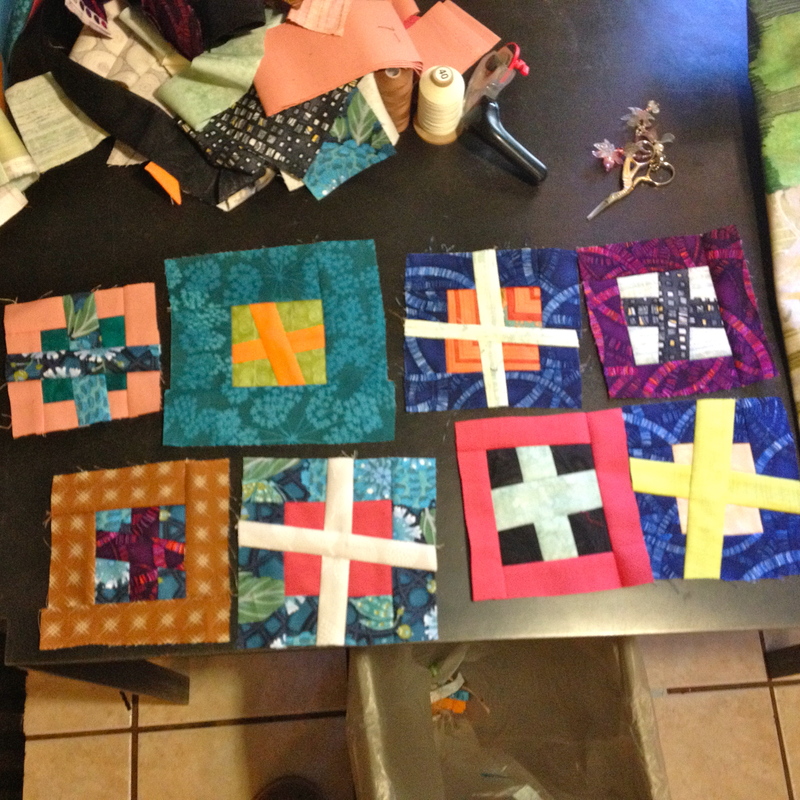 DAY THREE: I decided I wanted to work with some of the other fabrics I had brought, so I cut various sized strips and made square-in-a-square blocks with crosses inserted two ways. Very fun. But tedious. 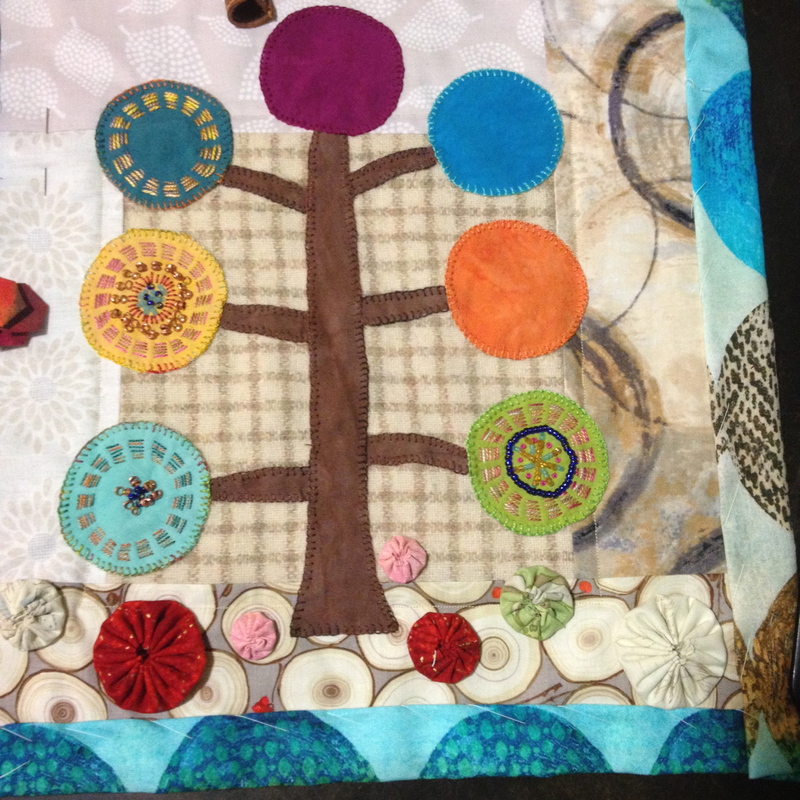 Back to the kantha tree. I thought it needed a little more color. Eek. TOO MANY red dots. Took them off right after snapping this photo. DAY FOUR: I had tired of making the little squares. But I had a lot of strips still left. 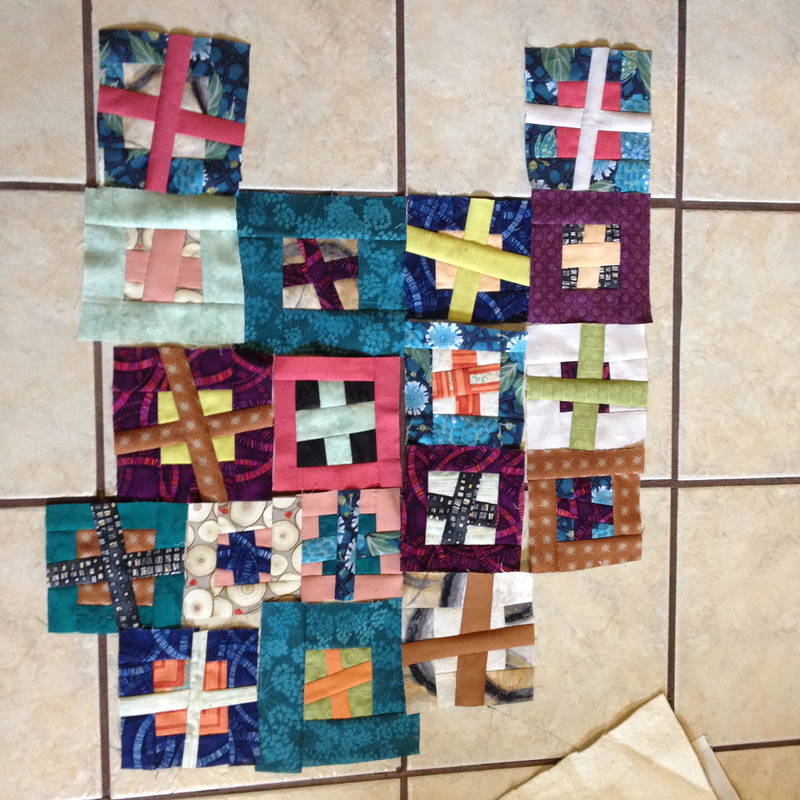 Just did some big log cabin style squares to use up the strips. I actually like these big squares very much. DAY FIVE: Back to the original composition. I wasn’t that happy with it. So I tried adding some “borders” to it (greatly improved,) and then, surprise! I cut out and added some circles to it. I didn’t have my zig zag machine with me, so that was as far as this piece was going to go on this trip. In the afternoon, I went out for my usual cup of coffee, and Hey! Is that a bead store I see over there?? I indulged myself with a few types of beads, and then bought one spool of beading thread and a pack of those little blanket thingies that make beading so easy. Usually, buying the beads is as far as I go 😦 So I made myself get them out and start adding some to my little kantha tree. 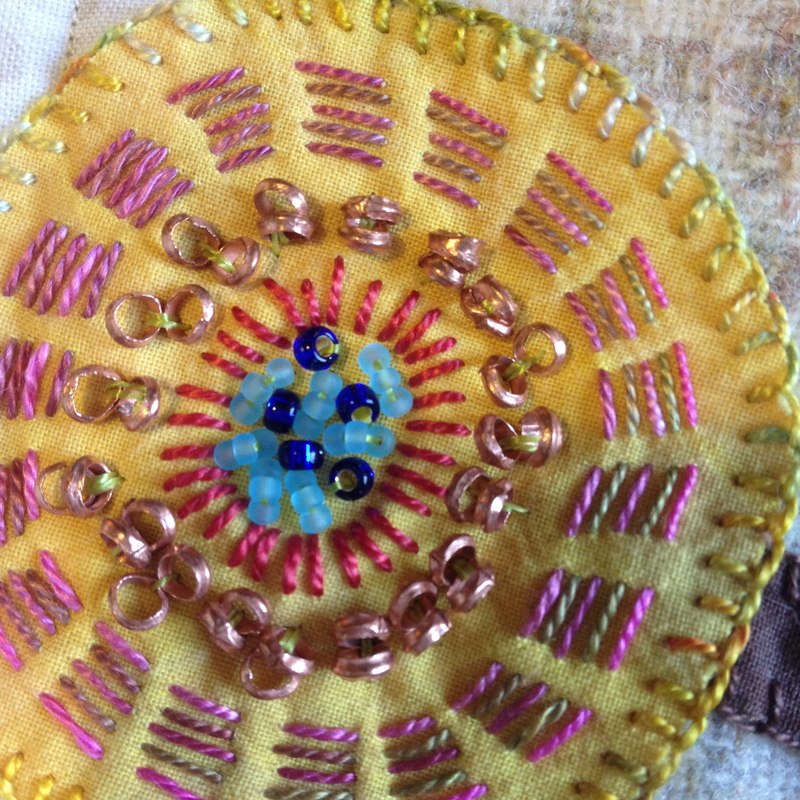 Hey, this beading actually goes faster than my hand-stitching! Who knew? 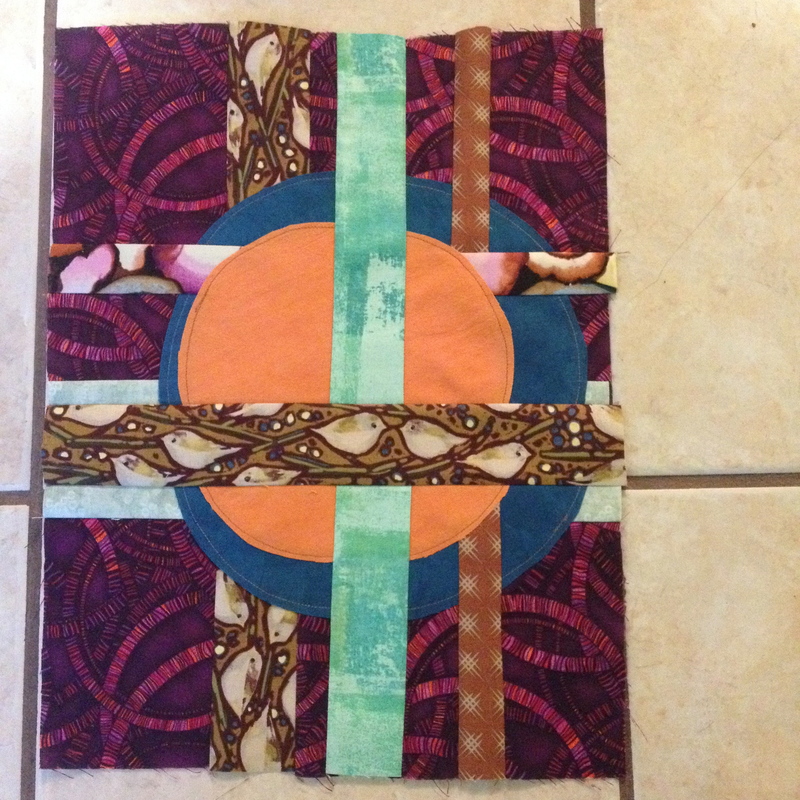 BTW, I sew those circles on raw-edge with no fusible. The perle cotton keeps the edges nicely in place. 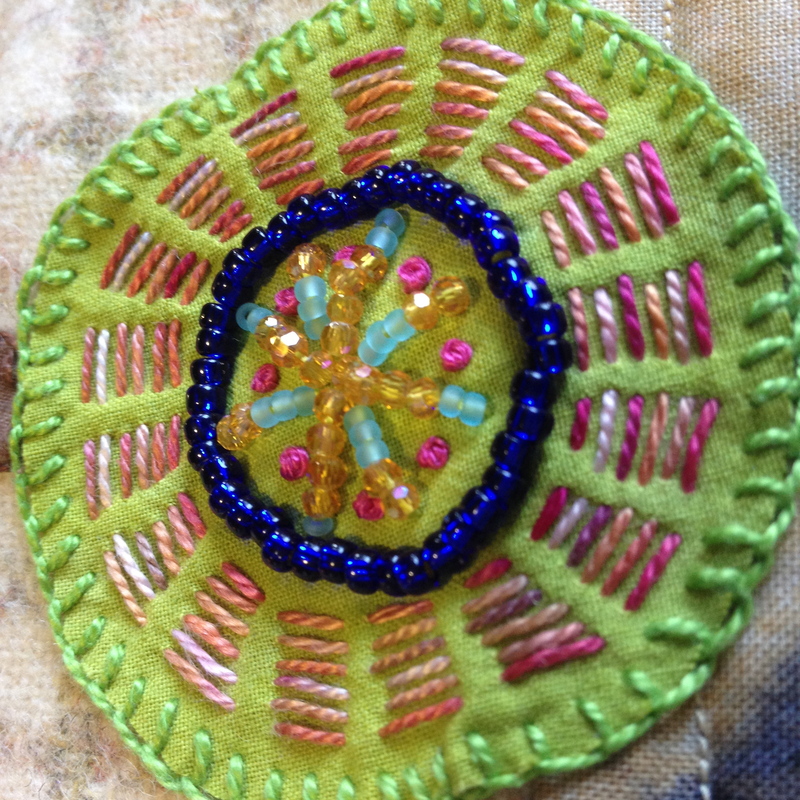 DAY SIX: I had seen an article in a magazine about adding circles and cross-cutting the fabric. Kinda like what I’ve already done with my crosses, but taking it a step further. I didn’t follow the instructions in the magazine, and I didn’t get the same results as they had shown. But it was pretty fun. And might be something I keep in my arsenal. This piece, as well as the big log cabin blocks, and the little square-in-square blocks are all from the same group of fabrics. 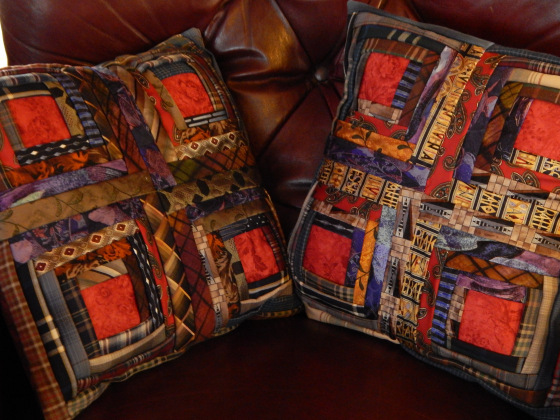 So they might end up in the same composition, or they might be used for all different quilts. I’m considering them “parts department” a la Freddy and Gwenny. Ooh, and in my little box of sewing supplies, I found a few yo yo’s that I had made on my Sister’s trip. 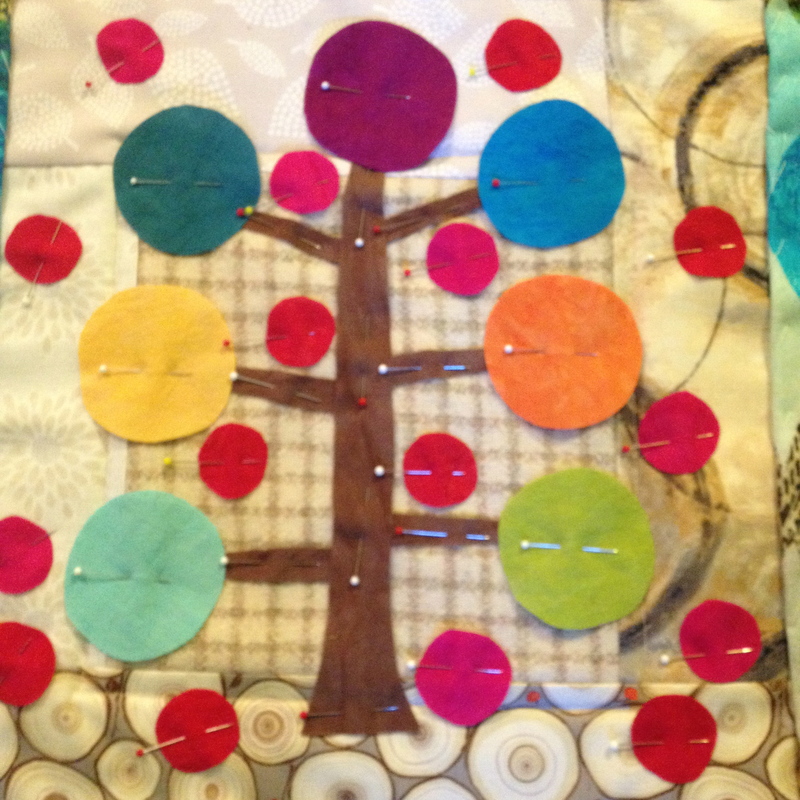 I auditioned them on the Kantha tree quilt. Thus ended my little retreat. It was a very beneficial trip. 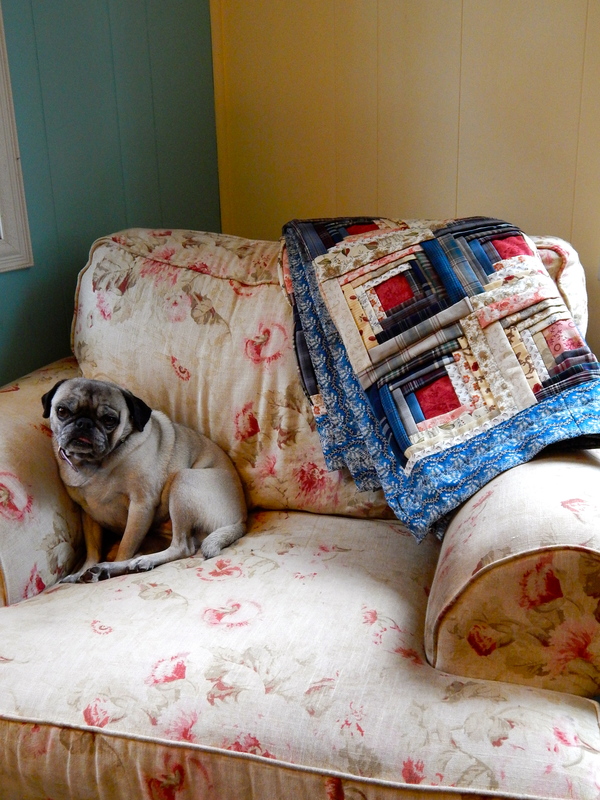 It seems that someone who lives alone would not have to leave home to have a quilting retreat. But (aside from the construction) there are always distractions and responsibilities at home. It is good to get away and have no other responsibilities than being creative! I just take a quilting break. This time I decided to quilt during my quilting break LOL. I had seen this very simple Christmasy pattern that really appealed to me. So I got out my big box of little squares, picked out all the red and green squares, and added in a few black and white ones. Voila! Half the cutting was already done. I had some really nice muslin on hand, and I knew what focus print I wanted to use. Surprisingly, I was able to locate it right away! I love this cardinal fabric. 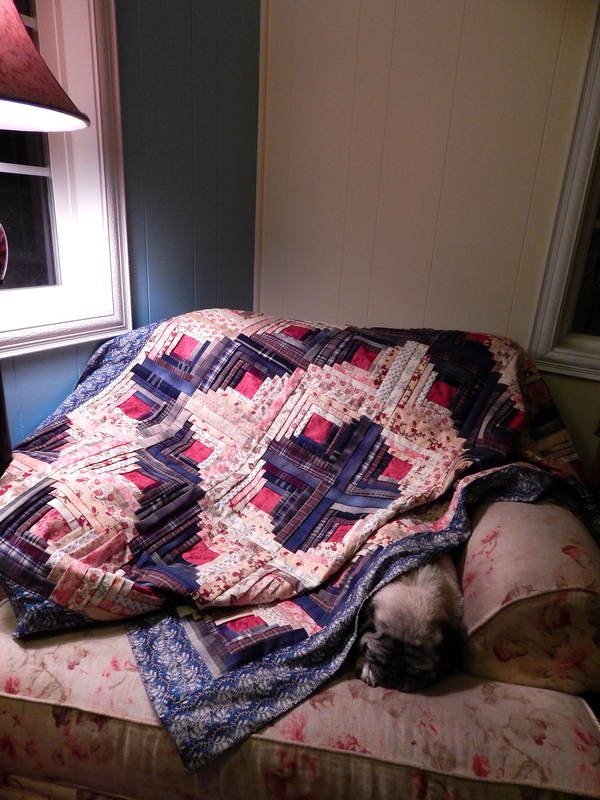 The rest of the quilt got put together fairly easily. I even got out my Singer Featherweight, and sewed on a TV tray while I watched some of my shows on my computer. That quilt top is almost completely assembled. I love the look of these, and think they will look good surrounded with more dark. And guess what was in the box of dark strips? A bunch of little 4 inch log cabin blocks made mostly out of the dark strips. Bingo! 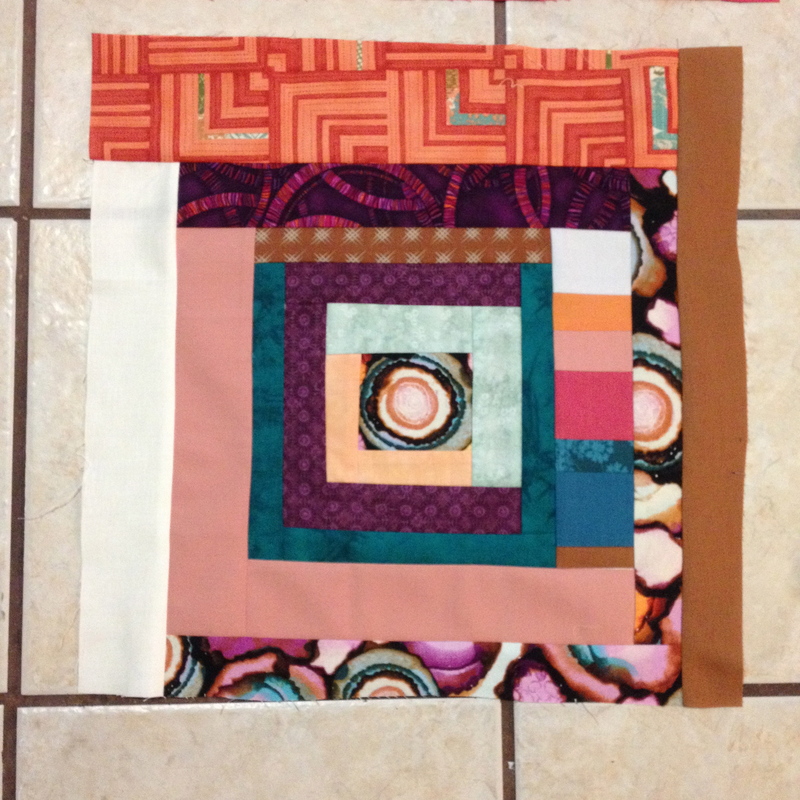 And as suddenly as it started, the quilt block is over! I finished the raw edge log cabin! Here’s what I had to trim off of it after I washed it. I think its so pretty, and I love the oriental heron blocks that I added. I also added some fun fabrics in the border. I did it just like I said, with just the log cabin, the muslin (that the log cabin was constructed on, ) and the backing. Three layers of fabric (no batting) for a nice lightweight topper for my bed this summer. This comes under the category “if you think of it, try it!” Those have been words of wisdom for me from Marianne Burr. In evaluating whether this was a worthy technique, here are some of my observations: I don’t think it saved much time to make this raw edge. I sewed twice as many seams (maybe unnecessarily, but I wanted to be sure the raw edges were secure.) And then there was the endless trimming after I washed it, and again after I dried it. 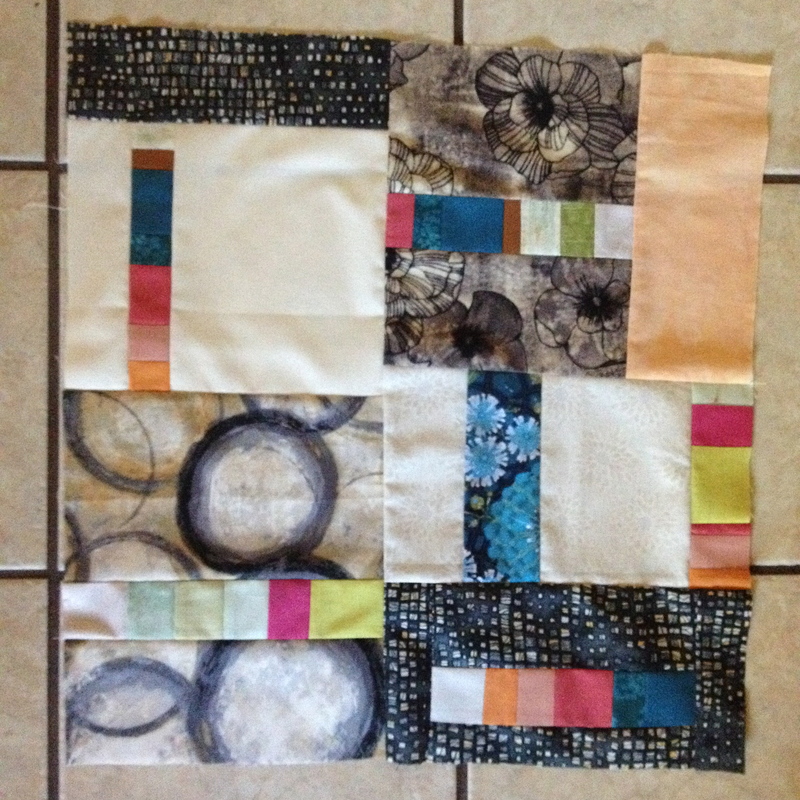 I shouldn’t have been surprised, I have used this technique before in collage quilts. The positive values: no ironing! If I had been doing a one inch log cabin (come to think of it, I have been working on one for a few years now…) there would have been a LOT of ironing of little seams as I went along. 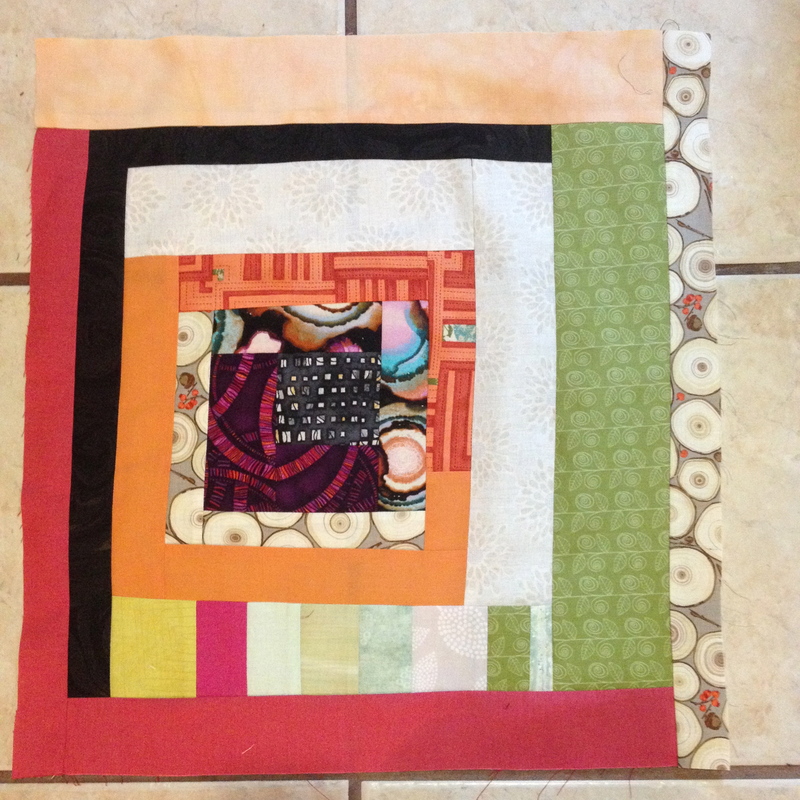 And as I placed each block on the backing I quilted it in place, so essentially as I pieced the front, I also was quilting it. I decided that to keep with the raw edge theme, I would not add a binding. I just sewed around the edge twice more to make sure it was secure, and then I cut the extra backing off with scissors. I didn’t worry about “squaring it up” or using a rotary cutter. Very freeing.